The number of laboratory confirmed notifiable cases have increased since January 1 compared to the five-year-to-date average. Queensland Health's Wide Bay list is updated weekly and shows the rise and fall of laboratory tested communicable diseases for public health interest. The most recent data looks at data released on Monday. One preventable disease which increased by 50 per cent was whooping cough. The disease usually starts off like a cold and can spread easily from person to person and it can be deadly, especially for newborn babies. Confirmed cases have increased from an average of 10 cases up to 15 in the Wide Bay this year. Adults who have been immunised as children may need booster shots to maintain immunity from diseases such as whooping cough. Looking at the medical data chicken pox has increase from the five-year average of 74 up to 92 lab confirmed cases this year. The disease starts with cold-like symptoms and a day or two later a rash begins, starting as small pink blotches but rapidly progressing to itchy blisters which usually last 3 - 4 days before drying out and turning into scabs. Inter-seasonal influenza has increased in the Wide Bay with almost 100 more cases reported above the year-to-date five year average for the area. Between 2014-18 lab confirmed cases of the flu was 83, this year-to-date there has been 177 cases confirmed. Wide Bay Public Health Unit physician Margaret Young said during Summer there had been higher than usual numbers of flu recorded across the Wide Bay. Dr Young said at the moment numbers were "bouncing around" and there hadn't been the steady "build-up" to indicate we were already in the middle of the flu season. Immunisation is the most significant public health intervention in the last 200 years, providing a safe and effective way to prevent the spread of many diseases. 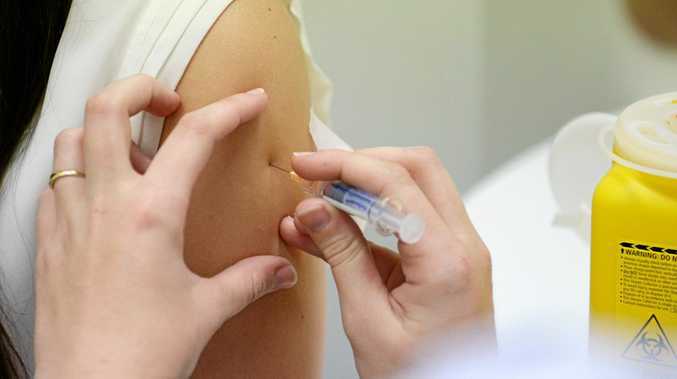 Since the introduction of vaccination for children in Australia in 1932, deaths from vaccine-preventable diseases have fallen by 99 per cent, despite a threefold increase in the Australian population over that period. Worldwide, it has been estimated that immunisation programs prevent approximately three million deaths each year. Immunisation works by triggering the immune system to fight against certain diseases. If a vaccinated person comes in contact with these diseases, their immune system is able to respond more effectively.